Apply for the Apprentice vacancies through the IDEMI Recruitment 2018. The officials of the Institute for Design of Electrical Measuring Instruments has announced the job notification. All the applicants need to complete the application process on or before 15th September 2018. Candidates can get the eligibility details, application form information, pay scale, application fee and more from the below sections. We have also arranged the procedure to apply for the IDEMI Recruitment 2018 Notification at the last of this article. The contenders need to view all the information and start the registration process. In the below sections of this post and know all the particulars of the IDEMI Notification 2018. Go through this article and get the information about the IDEMI Openings 2018. Click on the below given link to download the IDEMI Recruitment notification. Enter into the official web page of the Institute for Design of Electrical Measuring Instruments to download the recruitment notification. We suggest the aspirants read the official employment notification of this Posts to get clarity on the eligibility. As this vast number of vacancies, So we request job seekers don’t waste and wait till the last date of the application form as soon as possible apply for the Apprentice post now onwards because there is a lot of competition for every govt job. So, Applicants who want to get a job in the IDEMI as an apprentice, they must fill their online application form before the final date that is on 15th September 2018. IDEMI Recruitment 2018 Notification is good news for all such people. Try to check the details of this IDEMI Notification 2018, before applying. Well, to help all the contenders, we are furnishing all the important data, here in this post. Therefore, try to check them, to get an overall idea. Now, an individual should submit their filled application form for the IDEMI Recruitment 2018 in Online Mode only. Well, before checking about any other Requirements, an individual should check about the Qualification. And then they can proceed to apply. According to the information in the IDEMI Recruitment 2018 Notification for 29 Apprentice positions, an individual should have finished ITI in Any Discipline from the recognized Organization/Board. For precise information about Education need to check the official notification. 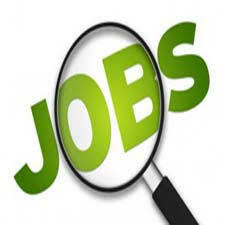 Candidates can know all central and state government job updates and notifications by following our site Sarkari Recruitment. IDEMI invites the applications for the eligible candidates to fill up the vacancies. Before applying for these vacancies, the candidate has to check the eligibility criteria which is provided below explicitly. It is going to release an official notification for the IDEMI Recruitment 2018. Before applying for the suitable post the candidate has to register with all the necessary details. Check the below qualification details to apply for the Apprentice post. ITI in Any Discipline from the recognized Organization/Board. Refer the official announcement for the age limit and age relaxation. Kindly visit the application fee details in the official notification. The aspirants will be recruited through the Merit List. The selected candidates will get the good salary as per the organization rules. Application Process Ending Date: 15th September 2018. Log in to the official website of the Institute for Design of Electrical Measuring Instruments, idemi.org. Now the homepage will open on the screen. Search for the IDEMI Recruitment 2018 Notification for the Apprentice post. Before submitting the form have to verify the details in it. Attach the needed documents like the photograph to the application form and submit.